I’m pleased to announce the latest iteration of my e-book The Essential Elements of Digital Literacies is now available. This takes it to v0.5! Those who invested in previous versions have already received their free update, according to the OpenBeta process I devised. I’ve decided that all profits from this book will go to the #LettingGrow campaign. If you buy into the book now, you’ll receive the rest of the chapters as I write them – free! I’m pretty much on schedule with the writing of my new e-book The Essential Elements of Digital Literacies. This post it to announce that v0.4 is now available! Those who invested in previous versions have already received their free update, according to the OpenBeta process I devised. As promised, I’ve finished version 0.3 of my e-book The Essential Elements of Digital Literacies before the end of July! Those who invested in v0.2 have already received their update, according to the OpenBeta process I devised. #uppingyourgame: finished and now on sale! I often say “I’m delighted to announce…” but it’s rarely been more true than today. 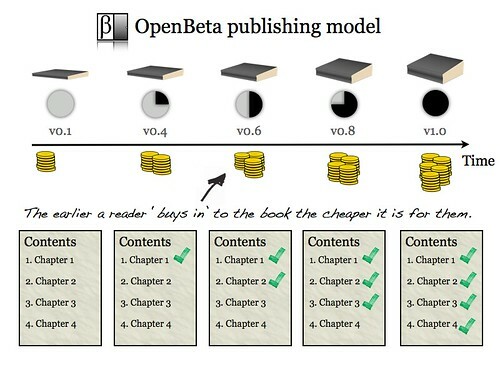 Over the course of the last ten months I’ve been developing a new publishing model called OpenBeta. The idea behind it is to gain readers from the beginning of the process who can give feedback and watch the book as it progresses. I’m pleased to say that 49 people joined in with the first OpenBeta project: #uppingyourgame: a practical guide to personal productivity. Want a free copy of #uppingyourgame? Tweet the following and if you’re number 4, 8, 15, 16, 23 or 42 to do so I’ll get in touch for your details!